Egypt is one of the top performing lower and middle economies climbing up 13 places from 62nd place in 2014 to 49 in 2016. The World bank released its report on international logistics titled "Connecting to Compete" for 2016. 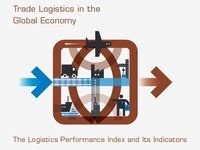 Egypt ranked 2nd in top performing lower middle economies in Global logistics and 49th on the Global logistics performance index (LPI) climbing up 13 places from 62nd place in 2014. The report ranks 160 countries on different aspects like logistics' infrastructure, shipment reliability, quality of service and efficiency of border clearance. Germany ranked in first place as the world's top performing country on the Logistics performance index while Syria came at the last place.